HTM 58 highlights the benefits of doorsets and GE Door Manufacturing is at the fore front of offering solutions for this demanding sector. Careful consideration should be given to durability, protection, infection control and design to meet Part M, BS8300 and the DDA. Other special consideration should be given to radiation shielding and privacy control. 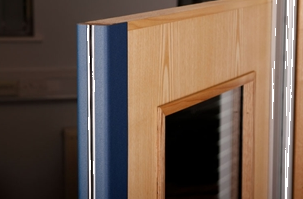 G E Door Manufacturing are able to offer a range of doorsets, screens and ironmongery solutions to meet these demands. 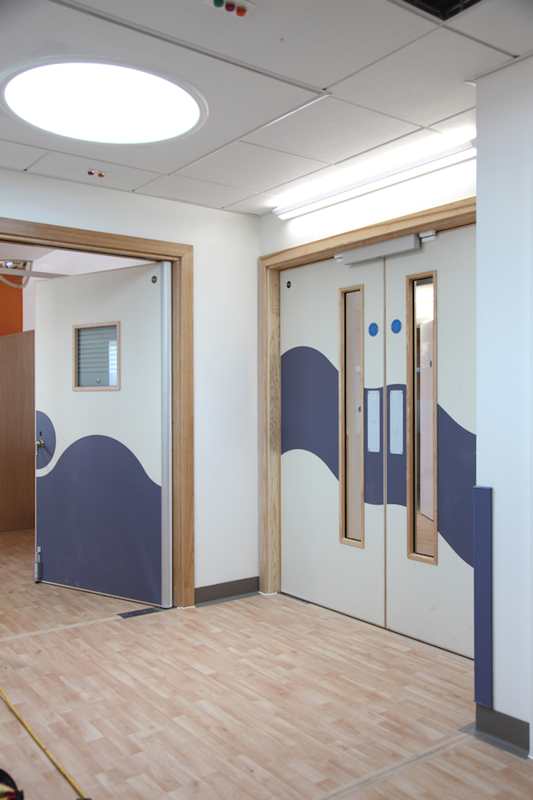 A range of severe duty rated doorsets, with PVC, laminate or timber veneers - all with anti-microbial protection is available. We are also gaining a reputation for supplying specialist solutions for mental health facilities. National Confidential Enquiry into Suicide made several recommendations including the removal of all likely ligature points. Abuse of staff by inmates is also a key consideration. 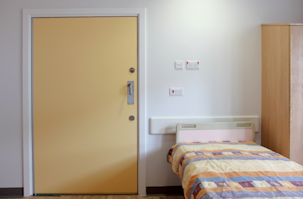 G E Door Manufacturing offers a range of products to facilitate the taking of essential safety precautions, minimising the risk of self-harm and anti-barricade solutions. 300 pre hung doorsets, anti-ligature, laminate faced doors. 250 pre hung doorsets – anti barricade and anti-ligature protection, along with complementary timber screens. 250 pre hung doorsets - Veneer faced with anti-bacterial finish.